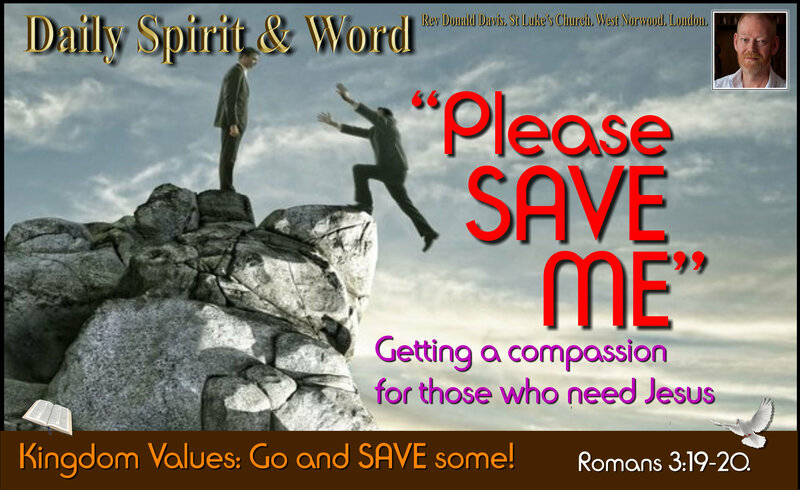 Daily Spirit & Word: 812: Seeking The Presence Of God. Good morning my friends, what an awesome Sunday we just had. The church was full of people, because we had three Thanksgivings for babies. It was so good because as we praised the LORD, sang songs, listened to His Word and prayed, we sensed the presence of the LORD. There’s absolutely nothing more encouraging for any Christian than to KNOW the presence of the LORD. When you know that He is with you, then you can endure anything in this life. It was true of some of the Ancients in the Bible: St Paul and Joseph, both in PRISON sensed, knew and experienced the presence of the LORD. Paul in Prison in Jerusalem and Philippi Acts 23:11, Acts 16:16-40. 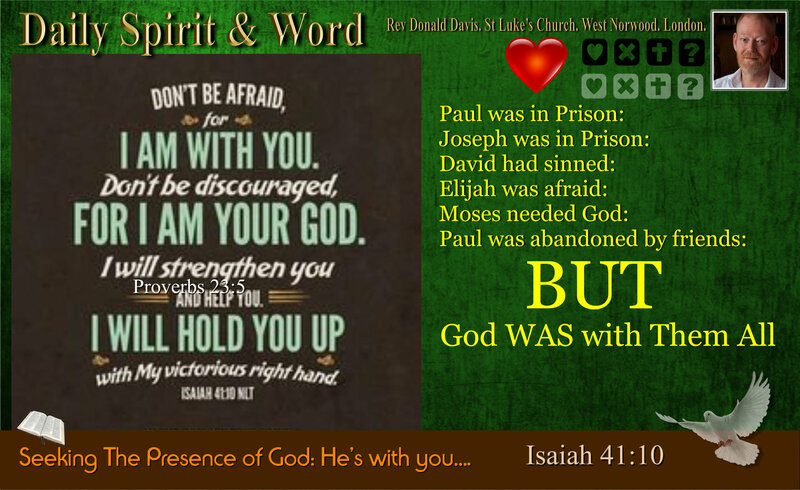 Joseph in Prison Genesis 39… That LORD was with him. 20 Joseph’s master took him and put him in prison, the place where the king’s prisoners were confined. But while Joseph was there in the prison, 21 the LORD was with him; he showed him kindness and granted him favour in the eyes of the prison warder. Of course we can’t forget many others; Jacob, Moses, Abraham, Elijah and King David who begged the LORD not to take the presence of the Holy Spirit away from him. My friends, when you are going through stuff in this life, troubles, hardships, tests and trials, attacks from people and persecution for you faith in the LORD Jesus Christ, then know this truth, the abiding presence of the LORD will encourage you, strengthen you and sustain you through it all. It’s good when friends stick close in troubled times, but it seems to me that friends will always let you down when you need them most. It was true of Jesus and King David, Joseph’s brothers sold him into slavery, Paul’s companions abandoned him when he was thrown into prison in Rome, and it will sometimes be true for you as well. So many Christians have been let down by those they expected would be there for them in sickness or hardships. However, the LORD would never leave you, that’s His promise once you’ve come to Jesus and put your faith and trust in Him for Salvation from sin. There is NOTHING we need more, and nothing more we need, than the abiding presence of the LORD. There is NOTHING we need more, that to know and experience the presence of the LORD. He is with you forever. It’s easy to say, “Draw near to God”, but how do we actually do it? Try this my friends and you’ll soon discover that God will reveal Himself to you in awesome ways. Praise: Sing a few songs of praise. Look what happened when Paul and Silas did that in Prison (Acts 16). Prayer: Honour God first by Praying The Lord’s Prayer, then Confess any known sins. Repent: Repent afresh and seek His cleansing and forgiveness. Seek: Seek the fullness and presence of God the Holy Spirit right now. Praise: Worship the Lord in Spirit and Truth. Sing and make music in your heart to the LORD. Seek to Serve: Be obedient to what the LORD is showing you to do today. God’s always got something He wants you to be doing for Him, every day. Just do it… You’ll be amazed when you listen to that prompting of the Holy Spirit. There is NOTHING you need more, that to know and experience the abiding presence of the LORD. If ever I’m feeling troubled and need the LORD’S presence and fullness, that is what I do. 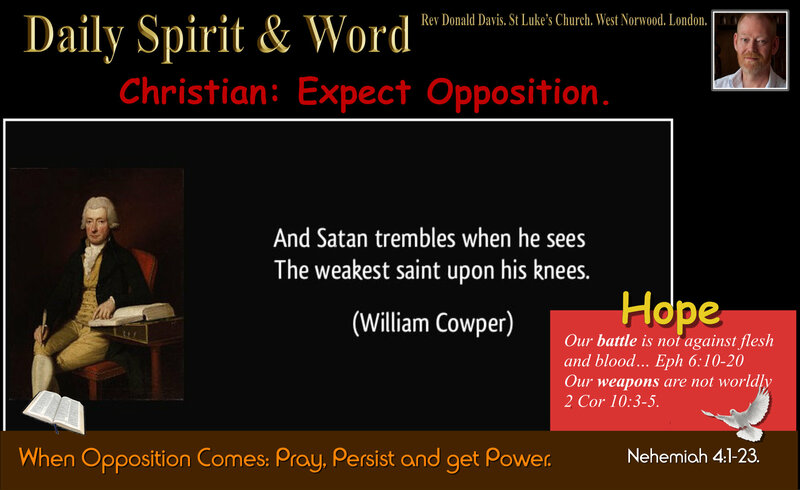 Daily Spirit & Word: 809: Remember The Coming King. Remembrance Sunday: Sacrifice & Peace. Good morning my friends, today we REMEMBER: It’s Remembrance Sunday, we’re gathering around the Memorial Cross outside the church today, which co-memorates those who died in times of war. However, we’re also thinking about our LORD Jesus, and Remembering that before His ultimate sacrifice, giving His life for all mankind, first He rode into Jerusalem just one week before He was arrested, faced a mock trial and was brutalised then put to death upon the Cross. In riding into Jerusalem in such a way, in fulfilment of God’s purpose and design, foretold in the prophets such as Zechariah 9:9 above. In doing so, Jesus was allowing people now, because the time had come for him to die, to praise and worship Him as King, because He knew that this would enraged the Jewish authorities and seal his own fate. 2 saying to them, “Go to the village ahead of you, and just as you enter it, you will find a colt tied there, which no-one has ever ridden. Untie it and bring it here. One day every King will bow and kneel before Jesus. One day every soul that’s ever existed will kneel and bow bore King Jesus. Men will go to war and give their lives in service of King and Country. Most go to war hoping to return, but in doing so, there’s always the great danger that by taking up arms, they will never return. Jesus is heading into a WAR knowing in advance that He really is going to loose His life in the most cruel way. Gentle and riding on a Donkey’s Colt. Most Kings coming in Triumph would ride on a chariot or a white horse. However, just like King Solomon, Jesus comes as a King on a Donkey. What’s So Important About A Donkey? A King coming on a Donkey symbolised PEACE. The mention of a donkey in Zechariah 9:9-10 fits the description of a king who would be “righteous and having salvation, gentle.” Rather than riding to war to conquer, this king would enter in peace. Zechariah 9:10 Highlights His Peace: (The Universal Reach of King Jesus Peace). “The battle bow will be broken”: no need for bows or arrows for fighting: Guns, Pistols, Mortars… BROKEN. “He will proclaim peace to the nations”: His message will be one of reconciliation. WORLDWIDE PEACE (Peace between men and God & Each other). NOTE: In contrast to the weapons of war above, the Christian’s weapons and the way we war is to be different now: 2 Corinthians 10:3-5. We are declaring that God (Jesus) is our KING: And that we want to be His subjects in His Kingdom of PEACE and LOVE. NOTE: Jesus is King and rules in a Kingdom of PEACE which is Universal (no borders). Jesus Kingship recognises no borders, no other rulers, He is the KING of Kings and LORD of Lords. Jesus KINGDOM is not land-locked or land-based, but HEAVENLY and it is in the HEARTS of Men and Women over the Earth. Today, we enjoy PEACE in the UK because of the sacrifice of so many in two World Wars. They gave their lives and died so that we could live in peace and security. However, wars have not stopped, Britain has been involved in many hundreds of mini-wars since the World wars. Though they gave their lives hoping for peace, it didn’t happen, because it didn’t (couldn’t) change men’s hearts. In contrast to the forlorn hope of WAR-Won PEACE: We can receive a PEACE in our hearts today because Jesus won His battle. His is a lasting PEACE. Today, we can enjoy LASTING PEACE: Because of Jesus sacrifice. He gave His life, so that we can enjoy eternal PEACE with God. His peace is different, when we get the PEACE of God in our hearts, we’ll never again want to go to war with any man. God so fills our hearts that He enables us to LOVE our enemies, and to do good to those who hate us. Jesus REIGN as KING: is in the hearts of people all over the world, in every country. There are Citizens of Heaven’s Kingdom all over the world today. When Jesus entered Jerusalem, He allowed them, for the first time, to declare His Kingship. Has Jesus brought His PEACE into your Heart? Has Jesus broken your war instruments and vehicles? Has Jesus taken away all conflict from your heart, so that you want to live at PEACE with everyone? Has Jesus taken up the reign of your soul? 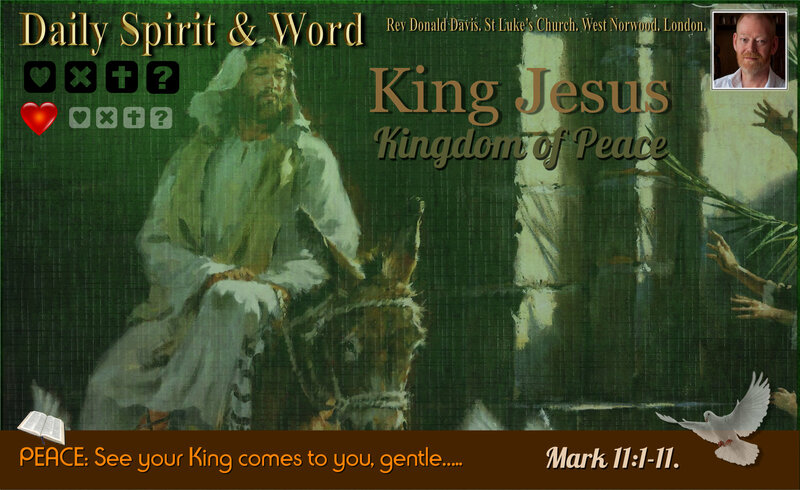 Is Jesus your King of PEACE? If not, them make Jesus your KING right now: Enjoy PEACE in your soul. 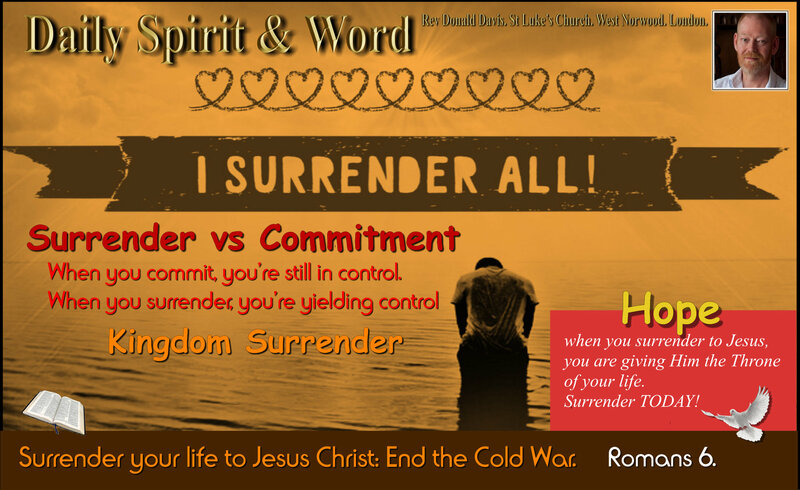 Be forgiven, be cleansed and freed from sin, receive the Kingdom of Peace. He wants His PEACE to be in the Heart of EVERY human being alive today. His Kingship from shore to shore, extending over all Creation. We PRAY for Jesus Christ’s PEACE to take up position in men’s hearts. Let’s enroll in Jesus PEACE Army and take the message of PEACE and Good News to all men. Amen! That war may cease, conflicts die, weapons used no more in anger. Amen! We also remember the seven people who were killed this week in the tragic tram-car accident in Croydon just a few miles away from here. We stop to remember them outside and those, over fifty, who sustained serious injuries. Let’s pray for their families and ask the Lord to bring the comfort and peace that only He can bring in times of grief. Amen! 2 I beg you that when I come I may not have to be as bold as I expect to be towards some people who think that we live by the standards of this world. Daily Spirit & Word: 793: A Little Bit Of Faith Goes A Long Way. Good morning my friends, over the last few days my family has been through a bit of a wringer. My son Joe’s little baby girl Millie, who is just four weeks old, suddenly took ill. Laura (his wife) took her to the Doctor who immediately called for an ambulance to take her to hospital. We got a call almost immediately in London, Joe was in tears asking us to pray for Millie. My son is a big tough Royal Marine, he’s served in Afghanistan and been shot at by the Taliban, but when his daughter was at death’s door he wept bitterly. Joe cried his eyes out in front of everyone in the hospital. Millie was rushed into the intensive care unit at Derriford Hospital in Plymouth, but when they could not stabilise Millie, they called for the specialist unit at Bristol. Another ambulance was sent down with a trained specialist unit and cot with hundreds of wires and tubes. Millie was sedated and another rush ensued. However, just before they departed from Derriford Hospital in Plymouth, Julie and I arrived just after 4.00am. It was just in time to pray before Millie was whisked away to Bristol Children’s Hospital and the PICU (Paediatric Intensive Care Unit). I shared with some groups on WATSAPP what was happening and got some of our Prayer Group to Pray (And many from our Church and Christian friends and family). What a wonderful family the LORD has given to us. Thanks so much for all your wonderful words of comfort and prayers. You will never know fully this side of Heaven what that means to us and to the LORD! Julie, my wife, stayed in Plymouth to look after their other three children, whilst I went to Bristol with Joe in his car, because only one parent could travel in the ambulance with the baby. Of course Laura couldn’t let Millie out of her sight. By the time Joe and I arrived the baby was in the PICU all wired-up and looking so vulnerable. I’ll tell you, you can’t look at a little baby in PICU (Paediatric Intensive Care Unit) and not feel how fragile life is. That room was filled with babies in all sorts of conditions and so many nurses and doctors and parents with sad and serious faces. Little Millie’s life was hanging by a thin thread. She looked so small, so vulnerable and fragile. The nurse was lovely, she explained about all the tubes and what they were doing, the wires and what they were monitoring. One little line was her oxygen levels, and it was a green trace on the screen. Every time Millie took a breath for herself, the line turned a little bit red. There were very few red bits in the trace. So I put one finger on her tiny chest and prayed, “Lord Jesus, give little Millie the breath of life, let Millie’s life return to her body. In Your Name I pray Lord Jesus Christ. Amen!”… Immediately, the trace turned from green to red. Laura asked the nurse, “Did he knock the wire?” No, there were no wires where I touched Millie. We all looked at each other and just smiled. I knew it was the LORD. From that moment on, Millie slowly began to recover. There were moments when things took a turn for the worse. We got shocked again when we heard they were going to sedate her. She stopped breathing, had mini-strokes, but slowly Millie began to get better. She’s now been returned to Derriford Hospital in Plymouth to continue her recovery with Laura and Joe at her side. I’ve just returned to London. Julie stayed on with Joe and Laura for a few more days till things settled down and they don’t feel they need her any-more. Millie was finally diagnosed with viral meningitis. It’s amazing what God can do. Every life is so precious to Him. Our friends and family were all marvellous. One verse stuck in my mind the whole time; from Psalm 139:13-14, about how fearfully and wonderfully we are all formed by the LORD. Even the Doctors were stumped to know what was wrong with Millie initially. They just didn’t know what went wrong with her little body. It’s such a frightening experience. All the tests they carried out came back negative. So they took some more, a lumber-punch. They thought it was Meningitis, Strep B or some other virus, but they couldn’t be sure. However, we know, those who LOVE Jesus, that God KNOWS EVERYTHING. It was He who formed Millie’s body, He who put her heartbeat into her little chest, He who put breath into her nostrils. Oh my friends, those Doctors and Nurses were marvellous, they did care, they tried their best, they worked so hard to bring Millie back, we can’t fault their dedication. Some even stayed beyond their shift many hours to give their time and skill, but in the end, when all is said and done, our life hangs by a thin thread and ONLY GOD can give life, because His Word tells us; “The LORD gives and the LORD takes away”… Praise Him, because He chose this time not to take away. We’ve had so many wonderful Christian friends, who’ve lost infants, some who’ve lost their babies in the womb and others, like Millie, who’ve experienced a wonderful miracle of recovery. We don’t know God’s plans for every life, but my friends, we’ve simply got to trust Him. It’s the hardest thing to do, when someone we love is going through it, but it’s the only thing we can do. If it were not for the Doctors and Nurses, I’m sure Millie wouldn’t be here now or if Laura had neglected to take her to the Doctor when she did. Thank the LORD for Mother’s Instinct: she knew in her heart something was seriously wrong with her little baby girl and did the right thing. The Doctor immediately recognised something was seriously wrong and the staff at the hospital reacted immediately. Praise the LORD for the National Health Service (NHS), they were there when we needed them most. However, Joe, my son knew, he needed to call in the BIG GUNS: The LORD the Giver of Life. Joe prayed and cried to the LORD. But seriously friends when the proverbial hits the fan, there is no need to PANIC, because the LORD knows all things. He’s in control of this ship called CREATION, because He made it all. He’s at the wheel and our Captain knows what’s coming before it ever hits us. So when trouble comes trust the Captain of your soul. A strong wind blows out a candle, but no matter how strong the wind, a little ember keeps burning in the wick. 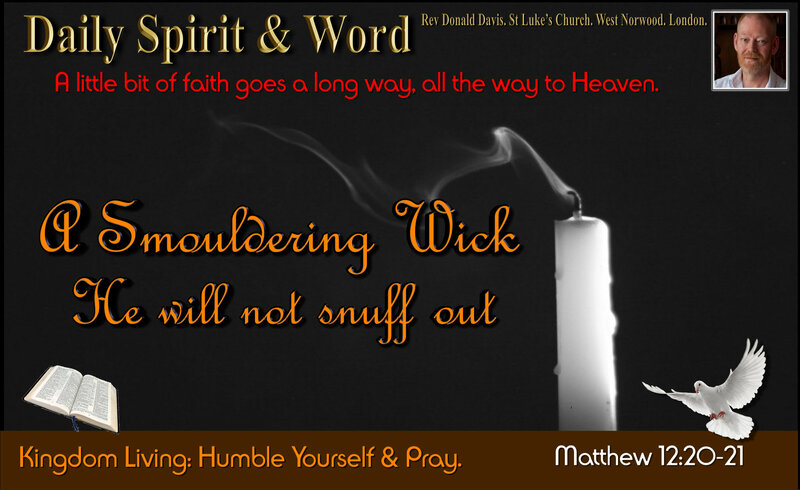 God’s Word tells us; “A smouldering wick I will not snuff out”… In other words, a little bit of faith goes a long way. When the winds of trouble hit your life, keep trusting Jesus in the storm. Cry out to Him and He will lift you up. We all get that sinking feeling in the storm, just as Peter did, but turn your eyes again to Jesus and cry to Him. He WILL LIFE YOU UP AGAIN. You, will be able to walk through the storms holding onto the hands of Jesus Christ. 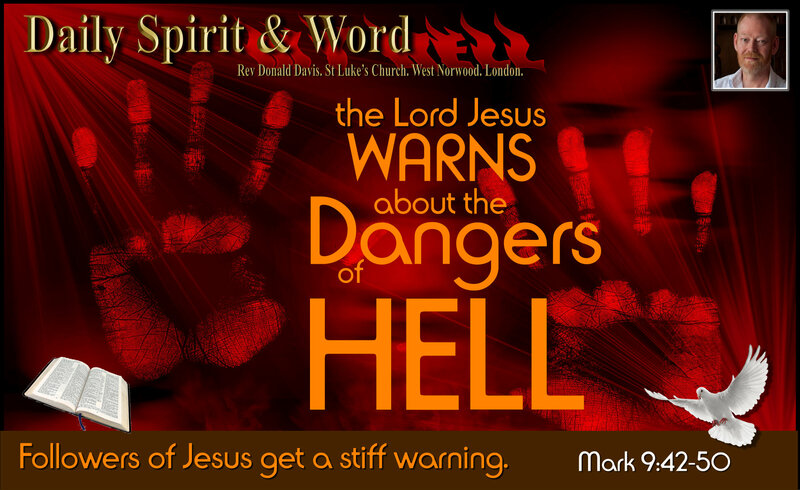 Matthew 12:20-21 (NIV) Smouldering Wick. 20 A bruised reed he will not break, and a smouldering wick he will not snuff out, till he leads justice to victory. My friends, when the storms or winds of trouble come to try and sink you or snuff out your faith, don’t look at the storm, the wind or the trouble, look to Jesus Christ. He is the Author and Perfecter of your FAITH. Faith itself is a gift from Him to you and if you are lacking He can re-supply your need. I reminded him of a story he knew well. “A smouldering wick, He will not snuff out”… If our faith is all but blown-out by the storms of this life, then God’s just waiting to bring it back into a blazing flame again. I assured him of our prayers. Before I left he returned with the good news, they’d closed his little girl’s chest and she was settling down into recovery. These last few days have been a tremendous test for many people that we know and love. We’ll all go through times of testing, trials and tribulations and temptations. We jokingly call it the 3Ts. (Trials, Tribulations and Temptations). However, my friends, if you’ve put your faith and trust in Jesus Christ, He proves faithful ALWAYS even in the storm that you are walking through. We do not always get the answers to the prayers the way that we want. But like Peter in the storm, all you can do is; Cry, cry, cry; cry out to Jesus. Weep, weep and weep for what you could loose or have lost. Life is so precious, one moment we’re here and the next is ETERNITY. You know something, Laura (my daughter-in-law) said something to me. She said, “When we’re going through something like this, it really brings into sharp focus what’s really important in life”. It really does my friends. Children are so precious, work, money, jobs, homes, clothing, etc… even food… but nothing is more important than your LIFE. However, there is one thing much more important than your life down here on this earth; Eternity. Where will we be spending eternity when this life is over? This is much more important than the here and now. God is only a prayer away. He’s waiting for you to turn to Him. He’s longing for you to cry out to Him. He’s a Father who’s waiting to hear your heart’s cry. You might be bitterly disappointed with the way things have turned out. You’d never choose the situation you are in right now, but God’s ways are not our ways. He might just be using this storm to bring you back to Him. Of course there’s something we need to do: Humble yourself and pray. Return to the Lord. Repent of Sin. Receive the Lord Jesus Christ as both Saviour and Lord. Then your Eternity will be secured forever. You will have a HOPE in your heart, that no matter what storm might come your way. You will know the Captain and where you are eventually going to be, so TRUST Him. 2 Chronicles 7:13-15 (NIV) REPENTANCE, RETURN, REVIVAL. 13 “When I shut up the heavens so that there is no rain, or command locusts to devour the land or send a plague among my people, 14 if my people, who are called by my name, will humble themselves and pray and seek my face and turn from their wicked ways, then will I hear from heaven and will forgive their sin and will heal their land. 15 Now my eyes will be open and my ears attentive to the prayers offered in this place. I’ve been praying for all my family and friends to come to a living and active faith and trust in the Lord Jesus Christ. The battle for their souls is raging. Satan doesn’t want to let them go. He’s blinded some of their eyes so they can’t see the truth of the glorious Gospel of our Lord Jesus Christ. (2 Cor 4:4). Oh LORD, OPEN their eyes and let them see Jesus for who He is: LORD OF ALL. Amen! Storms come our way, sometimes, it’s a TEST. Sometimes the LORD allows it to shake us to the core of our being, to get our attention, to open our eyes, to let us see and to get us to ask that question, “What is the most important thing in life?”… LIFE… DEATH … ETERNITY… HEAVEN … HELL???? We all love our lives down here. We all love our precious things; but what’s more important than life? Nothing! Jesus came down from Heaven to earth to bring LIFE to everyone who will turn to Him in faith. Not just eternal life, but the abundant life now… Oh my friends, if you’ve never received Jesus Christ by faith, receive Him now. The Three T’s will come your way: Even after you’ve trusted Jesus; Trials, Tribulations and Temptations. Stay close to Jesus every day. We’ve all sinned, we’ve all broken God’s Commandments; lying, stealing, lusting (adultery), coveting, hating (murder), disobedient to parents, not putting God first in all things and even creating a god (idolatry) that we are comfortable with. A god that will allow us to sin and get away with it. Everyone needs forgiveness, everyone needs to be cleansed from sin or we can’t go to God’s Holy place called Heaven. Sin needs to be removed from our souls to purify us for heaven. Only the blood of Jesus Christ can wash away our sins. He died, He gave His precious life, on the Cross, so that everyone who trusts in Him can be cleansed, made ready for Heaven and saved. Hell is real and God’s judgement is waiting on the other side of death. If we die with sin still on our souls, then we’ll be spending eternity in Hell with Satan and his demons. God doesn’t want that, that’s why He sent Jesus Christ to save sinners like you and me. You are being called by Jesus Christ if you are reading this far into my message today: He’s calling you by name; humble yourself, repent of your sin, believe that Jesus died for you, receive Him by faith and be born again of God’s Holy Spirit, then your eternity in Heaven will be secure. Afterwards, read God’s Word, the Bible every day; it’s your daily bread from Heaven. 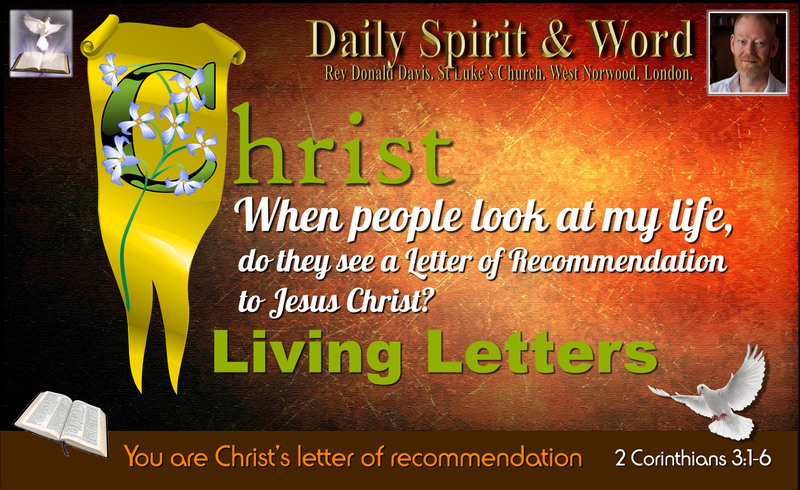 Live the Christian life in the POWER of the Spirit (that’s what being a follower / disciple of Jesus is all about, following and living by the teachings of Jesus), then join with other believers who love the Lord Jesus Christ to worship and serve Him with the rest of your life here on earth. Lead others to trust Jesus Christ too, you’ve been called to be SALT and LIGHT. Let your light so shine before men. Well, I’m back in London, ready to serve the LORD here. It’s been a horrific and blessed few days in my life, but I’ve seen the hand of the LORD. He’s there in times of emergency my friends, but let’s not wait until an emergency comes. Turn to the LORD in the light, before the darkness descends. If you are going through the darkness my friends, if your wick is just smouldering, turn again to the Lord and let Him kindle it into a roaring flame. He’s alive! He’s alive! My Jesus He is with me, He’s alive. When trouble comes knocking at the door of your life, trust the Captain of your soul, He sees it before it arrives and knows how to deal with it. Amen! Have a FANTASTIC Weekend with Jesus. I’m so looking forward to gathering on Sunday for worship: We’ve got a Thanksgiving for a baby. We’ve got a Wedding Blessing. We’ve got the LORD Jesus Christ. 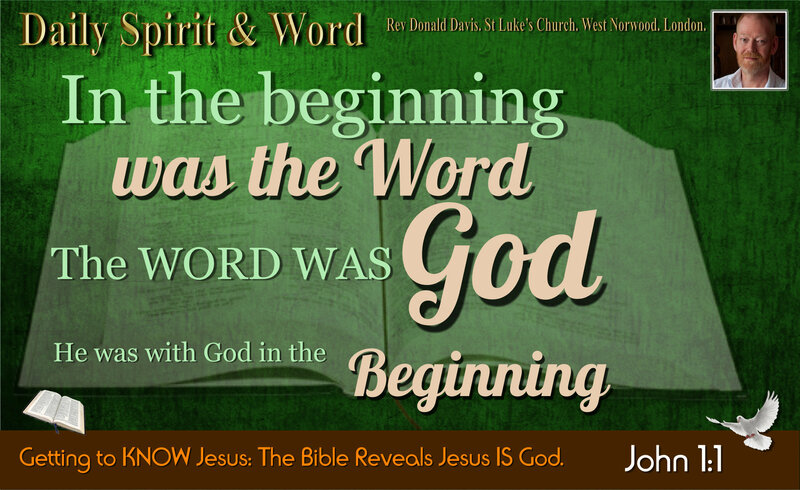 Daily Spirit & Word: 784: Getting to Know God Better. Good morning my friends, over the years I’ve met many people who consider themselves to be Christians, but struggle to know God personally. These are lovely genuine and sincere people who’ve done everything, they think, that’s required to get to know God. They’ve repented of their sins, but nothing seems to happen. They’ve asked Jesus to come into their hearts, but nothing seems to have happened. They’ve believed that Jesus has died upon the cross for their sins, but still nothing seems to have happened in their lives, they got no assurance that God is with them and that they are saved from their sins. So what’s missing? It’s often a case of mistaken beliefs; or misbeliefs. Some people think they’ve got to do something extra. So they try being even more religious: Praying more, reading their Bible more, attending lots-n-lots of worship. Then they’ll go running around trying all the latest ‘religious’ fads; fasting, all night prayers, revival meetings. They attend courses, and lectures and they’ll even try getting a degree in theology and all because they want to get to know God. They are hungering for the one thing that’s missing, they know something is missing and they know they need it. My friends, if there was anything you could do to get to know God, then Jesus would not have had to die upon the Cross. Assurance comes from God: He, Himself, Alone lets you know when you’ve become His child, when the Holy Spirit comes to take up residence in your life; i.e. You’ve been born again of God’s Holy Spirit. From the moment that happens, you won’t need anyone in this world to give you assurance that you are saved, that you are a child of God. You’ll not need to be religious any longer. You’ll be set free from the feeling of or need to be religious to be right with God. In this little book of Ezekiel the Prophet of God tells us over 30 times: (in different ways) “My People Will KNOW that I AM The LORD” and How will they know it? Because as our verse tells us today: “I will PUT MY SPIRIT IN THEM” When God does that to a person, they KNOW HIM, they KNOW the LORD. So often we settle for much less than God wants to give us, we stop short at being religious, when God wants us to be filled to overflowing with Himself in the person of the Holy Spirit. Once we understand that, then all of Jesus other teachings begin to make more sense. We’ll see that because of and with His indwelling power and help, all things become possible for those who believe and trust in and rely upon the Lord Jesus Christ. So my friends, a word from the LORD today: It’s God who puts His Spirit in you. When He does, you will KNOW Him. And when you worship, it will be IN SPIRIT and TRUTH… John 4. How do I get God’s Holy Spirit? Ask, Jesus tells us, “How much more with your Heavenly Father give the HOLY SPIRIT to those who ask HIM”… (Believe and Trust). (Luke 11:13). believed that Jesus died upon the Cross for your sins. oh my friends, you are READY: Now ask, receive by faith the Holy Spirit that God the Father wants to give you. Be assured, He will come: He will make Himself KNOWN in your life, you will KNOW God. It’s God who does these things in you, it will be a Super-Natural-Spiritual FREEDOM…. 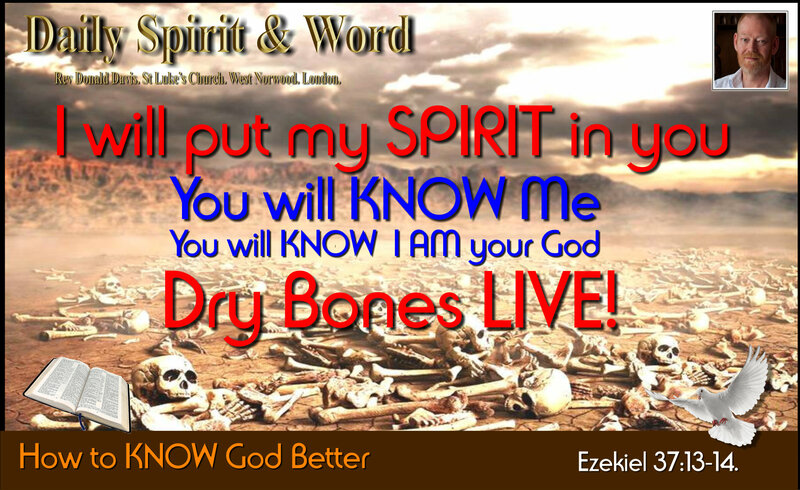 It’s God who puts His Holy Spirit in you: He also gives wonderful amazing SPIRITUAL Gifts… Receive them! My friends, who doens’t want the FRUIT of the HOLY SPIRIT? It’s not about being more religious, but calling out in FAITH, and believing the PROMISES of God.